Place a pompom in the center of pipe cleaner. Bend long end of L up (opposite head) to create tail. Fold two remaining pipe cleaners in half. 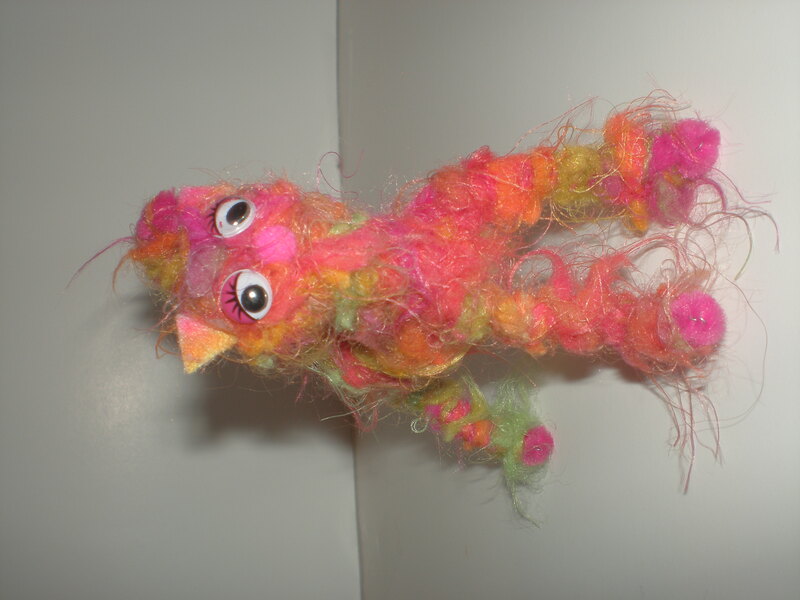 Twist one pipe cleaner around L at the base of the cat’s “neck” to create front legs. 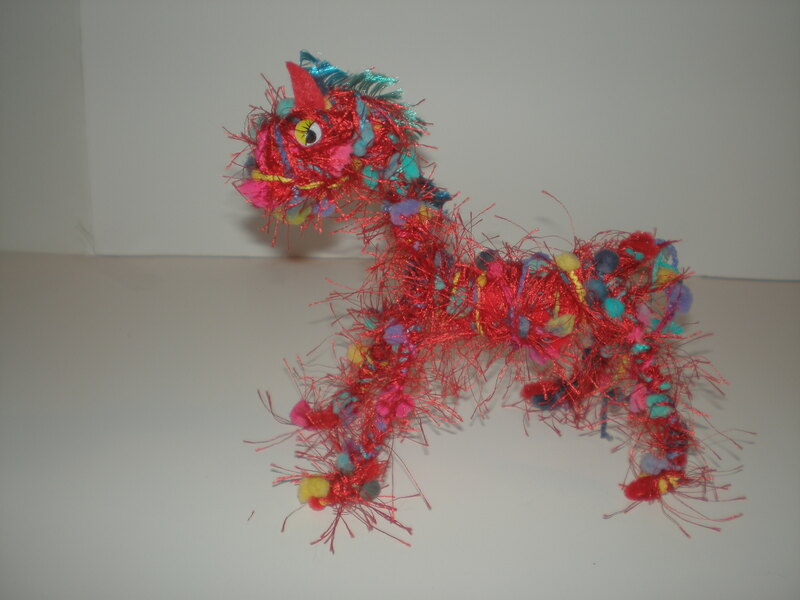 Twist other pipe cleaner at base of “tail” to create back legs. Fold ends of these pipe cleaners forward to create feet. Select a piece of fuzzy yarn and begin wrapping it around the cat’s neck. Continue wrapping yarn up neck and around head. Wrap back down neck and continue wrapping around pipe cleaner figure. When you reach the middle of the cat’s “back”, hold a large pompom under the pipe cleaner and wrap it also. This will create a stomach of the cat. Continue wrapping until cat looks fuzzy all over. Cut small felt triangles for ears. Select a small pompom for nose, or cut small felt circle. Glue eyes, ears, and nose onto cat. Fuzzy yarn that is a little thicker covers creatures a whole lot quicker. We love the crazy yarn we used for the horse, but we trimmed his head a little bit because he was too shaggy! 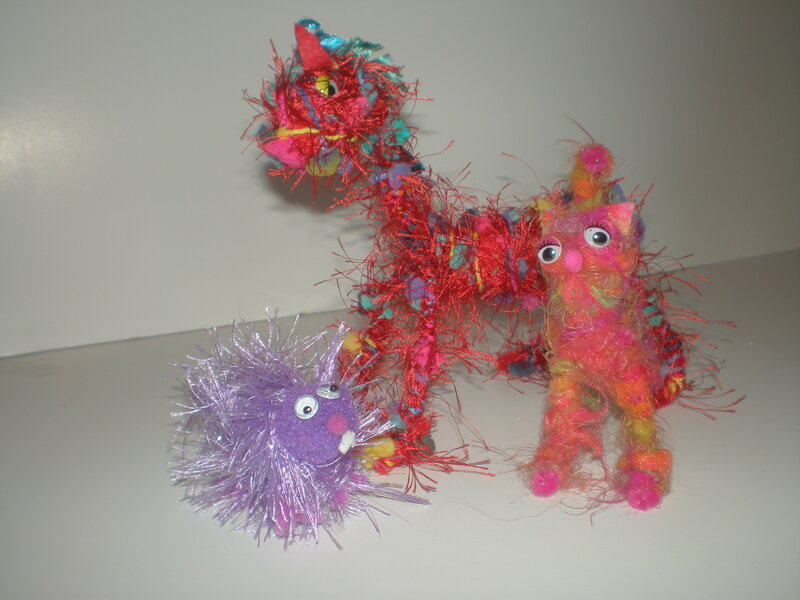 The thin yarn is cool, but it looks prickly on the pipe cleaners. 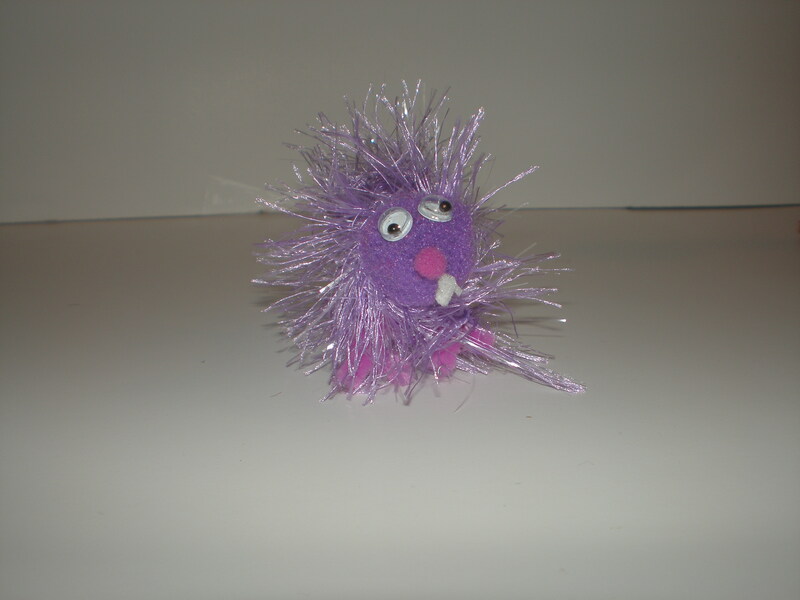 So we made a porcupine!